The State Dept. said today no actions were influenced by the Clinton Foundation. camera (Michael Loccisano/Getty Images) Former US Secretary of State Hillary Clinton and husband, Former U.S. President Bill Clinton address the audience during the Opening Plenary Session: Reimagining Impact for the Clinton Global Initiative, Sept. 22, 2014, in New York City. "The State Department is not aware of any actions that were influenced by the Clinton Foundation,” State Department Spokesman Elizabeth Trudeau said during today's daily press briefing. 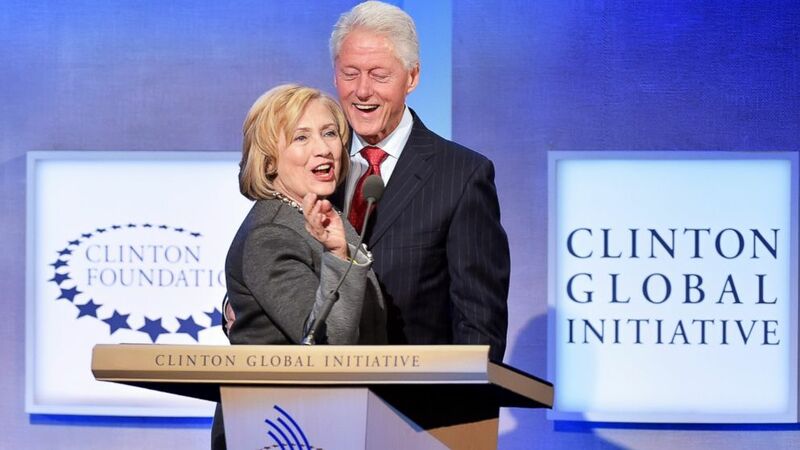 That comment comes after the release of two new emails sent by Clinton Foundation executive Doug Band, raising concerns about the relationship between Hillary Clinton's State Department and the Clinton family's philanthropic organization, the Clinton Foundation. In one email, Band requested a meeting between a wealthy donor and an ambassador, and in another he asked Clinton's aides to find a job for an associated, whose name was redacted from the email. Donald Trump has described the emails as "pay for play," without producing any evidence of an exchange of money or political favors. "The Department does not believe it was inappropriate for Mr. Band or any other individual to recommend someone be considered for employment at the State Department," Trudeau said today. "We also do not believe it’s inappropriate for someone recommended in this manner to be potentially hired insofar as they meet the necessary qualifications for the job." As for Band's request to introduce a wealthy donor to the U.S. ambassador to Lebanon, Trudeau said this type of interaction would not be uncommon. "State Department officials are regularly in touch with a range of outside individuals and organizations, including non-profits, NGOs, think tanks and others," Trudeau said.